Location: Gort, County Galway, Northern Ireland. Built: 15th (or possibly 16th) century. Condition: Restored as a Museum. Currently closed after flooding. Ownership / Access: Earls of Clanrickarde, The Septs de Burgo, William Butler Yeats. Notes: Thoor Ballylee Castle is a fortified, 15th (or 16th) century Hiberno-Norman tower house built by the septs de Burgo, or Burke, near the town of Gort in County Galway, Ireland. It is also known as Yeats' Tower because it was once owned and inhabited by the poet William Butler Yeats. Due to its proximity to the Streamstown River, Thoor Ballylee is subject to sporadic flooding. This occurred notably in 1995 and in 2009/2010. In 2009, Thoor Ballylee was extensively damaged by flooding. For a while it appeared that due to the financial problems of the Irish government, no money would be available to repair it. Thus only in February 2012 did work by Fáilte Ireland on restoring the tower begin, although no opening date was envisaged at the time. 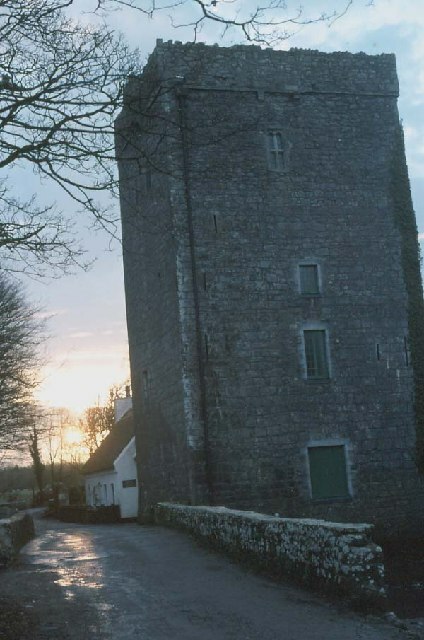 One of the forces behind the decision to repair the tower had been East Galway senator Lorraine Higgins, who argued that a reopened Yeats' Tower would be a boon to local tourism. By February 2013 the tower had still not reopened. However, a private group - in cooperation with Fáilte Ireland - had engaged the services of Galway Rural Development, a make-work-scheme, for the maintenance work. In 2014, a local community group the "Yeats Thoor Ballylee Society" leased Thoor Ballylee from Fáilte Ireland to develop it into a culture and education centre, in time for the Yeats 150th Anniversary in June 2015. The Society is cooperating with the National Yeats Steering Committee and the Yeats Society to ensure that Thoor Ballylee is an integrated part of the Yeats2015 celebrations.